Climate change could cost India 2.8 per cent of GDP, and depress living standards of nearly half of its population by 2050, as average annual temperatures are expected to rise by 1-2 per cent over three decades, a World Bank report said. 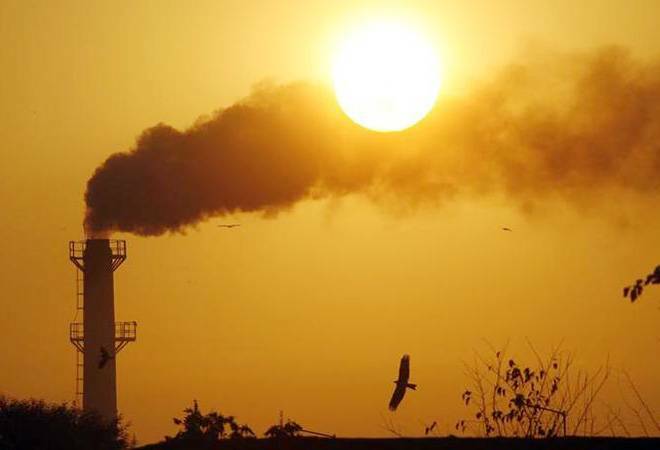 Climate change could cost India 2.8 per cent of GDP, and depress living standards of nearly half of its population by 2050, as average annual temperatures are expected to rise by 1-2 per cent over three decades, a World Bank report today said. If no measures are taken, average temperatures in India are predicted to increase by 1.5-3 degrees, said the World Bank report titled 'South Asia's Hotspots: The Impact of Temperature and Precipitation Changes on Living Standards'. Even if preventive measures are taken along the lines of those recommended by the Paris climate change agreement of 2015, India's average annual temperatures are expected to rise by 1-2 degrees celsius by 2050, the report said. According to it, almost half of South Asia's population, including India, now lives in the "vulnerable areas" and will suffer from declining living standards that could be attributed to falling agricultural yields, lower labour productivity or related health impacts. "These weather changes will result in lower per capita consumption levels that could further increase poverty and inequality in one of the poorest regions of the world, South Asia," said Muthukumara Mani, Lead Economist World Bank while presenting the report here.